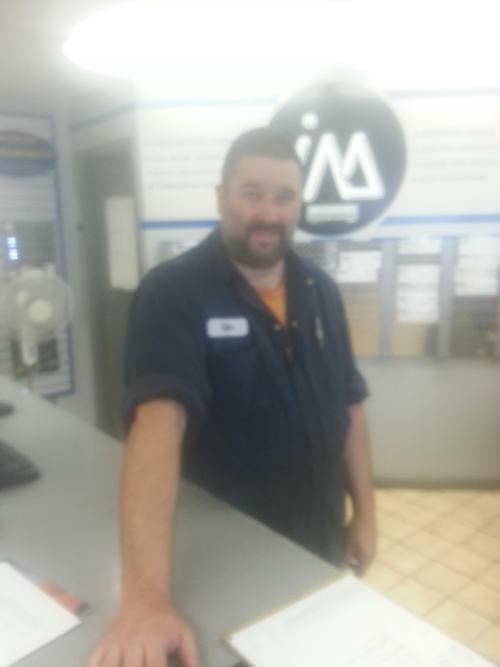 Gordon is a 26 year experienced automotive mechanic working with Island Muffler & Car Repair Services in Victoria over the past six years. He began his mechanic apprenticeship with the Chrysler Dealership and took his exam from Camosun College also located in Victoria. Gordon has been married for 30 years and is the proud father of a son and daughter. Regular Car Maintenance, as always, running vehicles with dirty oil, air filters and radiators that have never been flushed all contribute to more costs in car repairs, prevention is always the key. Gordon began his interest in auto mechanics in his childhood starting with a 73 Chevelle Malibu initially stock then modifying exhaust and carburation and of course the big wide tires in the back that could burn rubber at 60 miles per hour. Needless to say this was always done on the race track. J Gordan has raced at Western Speedway (1/8th mile drag) and used a Monsa achieving a 5.9 s race time. When not fixing cars Gordon likes to camp using their fifth wheel, then hiking and fishing around their chosen destination. Gordon lives on a farm with 70 chickens, 15 ducks, 2 dogs and five cats. And you have time to camp?